Christina Lee: Where Would YOU Live? This week, the YA Highway ladies asked: If you could live within the universe of one book, which would you choose? To which I respond, just ONE? Eek, I can't decide. So, I would NOT live in the HUNGER GAMES trilogy, nor the LORD OF THE RINGS (unless it was with the Elves), or MATCHED (where everything is chosen based on odds). The too obvious answer would be HARRY POTTER, if I could be a wizard too, and stayed away from Lord Voldemort. I definitely wouldn't want to feel the sadness and pain in ROOM, THE SKY IS EVERYWHERE or IF I STAY. If I chose based on *hawt boys* it would be: WHITE CAT (and Cassell), DECEPTION (and Bennett), PERFECT CHEMISTRY (and Alex), and ANNA AND THE FRENCH KISS (for Ettienne. Except, I'd choose Italy over France any day). Because of the delicate world Maggie Stiefvater created through Grace's eyes. 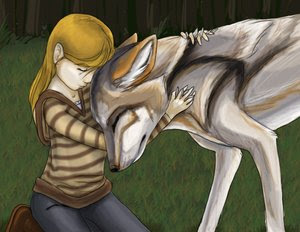 I'd want to experience the visceral pull of the woods behind her house, and the strong connection to her wolf, Sam. And then to view the world through Sam's eyes--trapped inside his animal body, relying solely on his instincts, watching and guarding Grace's house from the woods. I could have screamed, but I didn't. I could have fought, but I didn't. I just lay there and let it happen, watching the winter-white sky go gray above me. I held on to those eyes for as long as I could. Yellow. And, up close, flecked brilliantly with every shade of gold and hazel. I didn't want him to look away, and he didn't. I wanted to reach out and grab a hold of his ruff, but my hands stayed curled on my chest, my arms frozen to my body. I would so live in the Wizarding World! Without a doubt (as long as my husband could come along). Speaking of which I really need to find out when HP6 is being released on video because I'm ready for a movie watching marathon! Great choices on your end! I still need to read The Hunger Games... which I'm thinking will be directly after I finish The Wake Trilogy by Lisa McMann! I would definitely take the Wizarding World, as long as it's after Harry takes care of Voldemort. Second choice would be Middle Earth after the end of the Third Age. Oh Harry's world for sure. And yes, most def after he has taken care of Voldemort. I have always had a passion for that kind of power. I think it all started with Bewitched. I mean how cool was she!? Wow, most votes for Harry's world, huh? That is a hard question. I haven't read Shiver, but it does look good. I really don't know what I would choose, but I suspect it would be the world of the book I'm writing. Does that sound really egotistical? Wizarding World all the way! How could I deny magic and potions and quidditch! Plus I could find a hot guy somewhere in there. Lots of people to choose from! I have to agree with everyone else. Sign me up for Hogwarts, particularly with food that magically appears and no dishes. 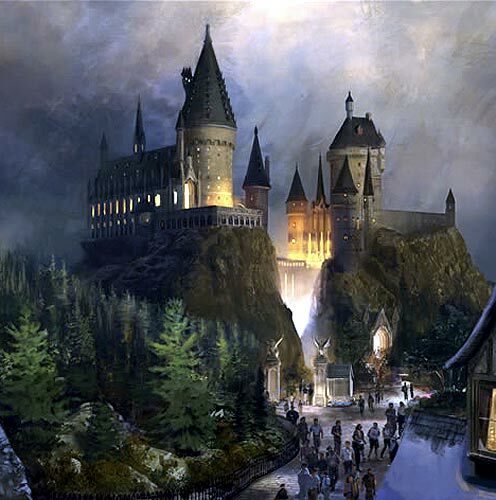 I think Harry Potter's wizarding world would have to be #1 for me, or maybe Narnia. I've also always been drawn to life on the prairie, Laura Ingalls Wilder, Willa Cather style. 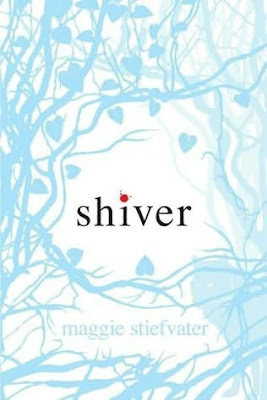 I loved Shiver, but it makes me cold just thinking about it. I might feel better about that one in the summer. I love that pic. I'm attracted to castles. I love the atmosphere in horror books, but I couldn't live in them.